I actually can't believe I am going to do this post. 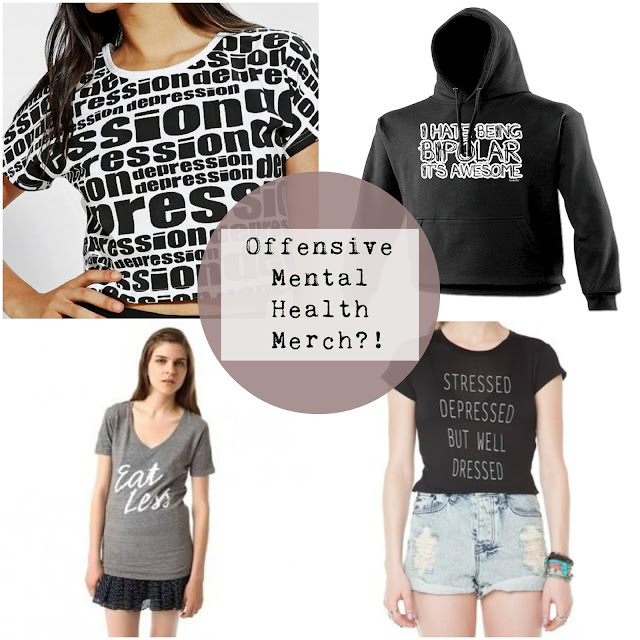 I had a nice, happy, normal post set out for today until I was brought to the attention by the Youtuber Sarah Hawkinson, who made a very alarming video about ' Mental health merch' You can watch that video HERE. I had no idea this was a thing and was utterly disgusted that it was. 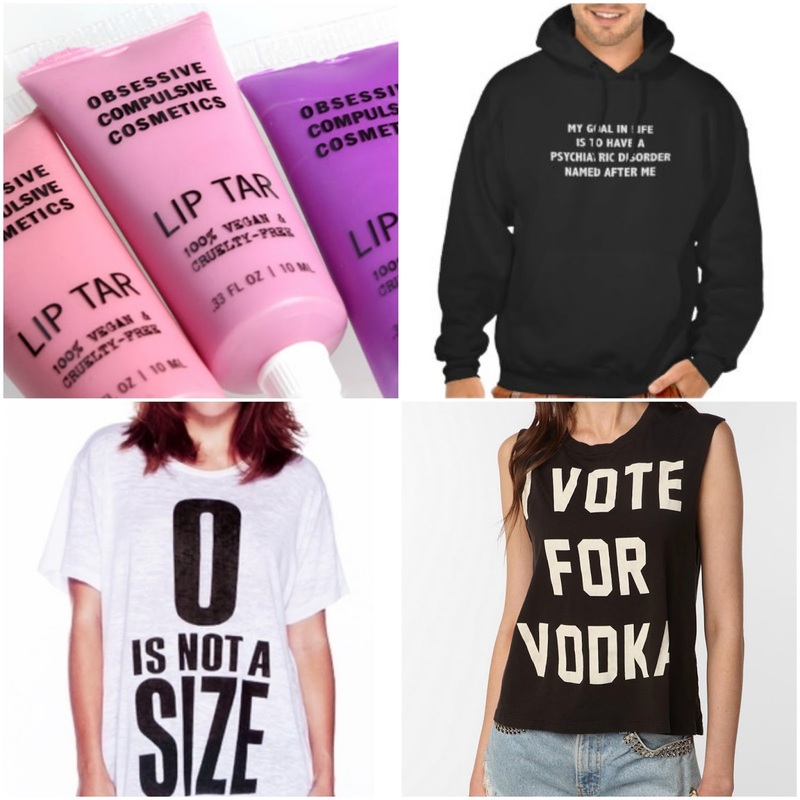 Shops and brands- well known or small, are selling clothing, makeup and other merchandise, glamourising mental health disorders, which can be seen in the photos above. I'm sorry but who in their right mind, would go around wearing a top that says ' eat less' or ' depression' when they probably know a minimum of one person who suffers or has suffered with some kind of mental health disorder in the past. Its utterly degrading and dam right disgusting to make fun of any mental health disorder. Not only is it offensive to the people who know someone who has suffered/ suffering from a mental health disorder but its mocking the people who do suffer from it or suffered. These people don't have a choice whether they suffer or not but I know certainly that anyone suffering would not go around wanting to parade the fact they suffer from such a debilitating mental struggle on a daily basis. You have choice not to buy and wear these clothes, so don't do it..
Its like walking around with a top making fun of cancer, you would not do it! No one is that sick or twisted. Its the same for mental health. But its seen okay by big brands to make these tops and merchandise because its ' cool' or ' tumblr' inspired, but that gives no one an excuse to wear such a rude and offensive top. For the likes of makeup brands like Obsessive, compulsive cosmetics, I understand its a play on words and isn't suppose to be malicious or harmful, but it is because it indirectly is targeting something that people have and making a brand and money out of it. I personally have never suffered from any mental health disorder, but I still think that I am qualified enough to arise this point with you. I have a creative outlet, which I can use to inform and educate you about things I think are important, and this is one. Even though these tops may have been withdrawn from the shops for now, I have no doubt in saying that there will be plenty more in the future. Think twice, before buying slogan t-shirts etc. and see if there is actually anything that could be harmful within the text. Read between the lines and don't just presume because it is sold by a well known company or is a fun play on words, its okay! ITS NOT! It's so sad that this even has to be pointed out in the first place, it's as bad as people claiming to have bipolar or OCD just to seem different or cool. Influential brands really should know better! Ugh this makes me sick! Why is it being glamourised? It's like wearing a t-shirt saying 'haha you have mental health problems you're so weird'. Does my head in. I suffer with anxiety and panic disorder and have dealt with depression in the past, and I hate it when people take the piss out of it! Glad you made a post to spread the word though! Go gurllll. I've seen a few of these and I think its awful. 'Eat Less' etc is a pretty ridiculous and shouldn't be promoted on clothing. I've seen a few of these items and it's just disgusting. My question is, who would want to wear them?! Exactly, brands like Obsessive compulsive cosmetics use an illness that millions of people suffer with, that makes their life really hard and turn it in to a brand and make millions of dollars out of it, without any of it going to the OCD charity's out there. Ive seen this "trend" too and its sickening!! "Fashion" has really crossed the line. And did you read about how UO mocked a horrific university killing? I totally agree with you, this is horrible! I completely agree with you on this. A few people in my family have suffered or are suffering with mental health problems and it's definitely not something to joke about! I wish people would think twice about wearing these, as I'm sure they wouldn't make a mockery of mental health if they had suffered through or seen someone suffer through a mental illness. Exactly! I am sorry to hear about your family, I hope they are staying strong. People think that because its on a top, its okay- when its definitely not! This is horrible and disgusting. It's a shame people will do anything or make anything for money these days. p.s. 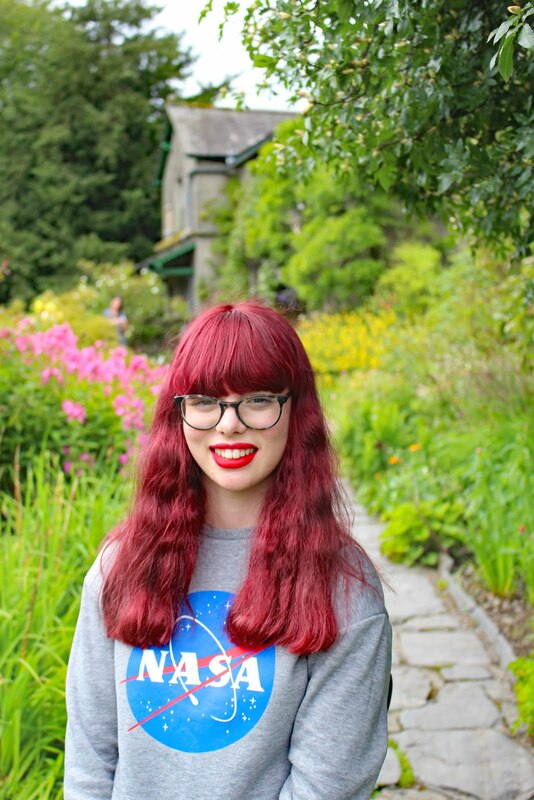 I'm from the #askablogger chat! Ahh I read a post like this the other day and quite frankly it peed me off so much! You would never go round wearing a top saying "i have cancer" so one that says depression or "stressed depressed but well dressed" baffles me. It's so ridiculous. The media and people idolise mental health disorders so much nowadays and I find it so crazy that that's the world we live in today. I could rant about this all day!